The company was founded in 1939 and is headquartered in Flawil, Switzerland. 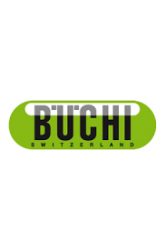 Büchi Labortechnik AG provides laboratory technology solutions for R&D, quality control, and production applications for chemicals, pharmaceuticals, food and beverage, feed, environmental analysis, and academia industries. The company offers laboratory evaporation, industrial evaporation, parallel evaporation, spray drying and encapsulation, melting point, preparative chromatography, extraction, distillation and digestion, kjeldahl and dumas, and near infrared spectroscopy products and solutions.